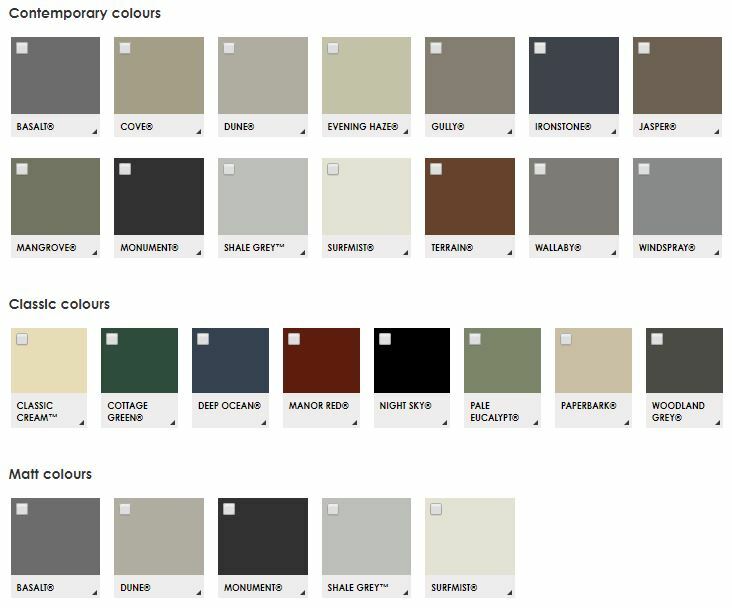 To help you find the perfect colour for your home, COLORBOND® steel’s inspiring colours are presented in five groups – Contemporary, Classic, Fencing, Ultra and the new Matt finish. Choose from the extensive Colorbond range for a beautiful new look. Curious as to how your home will look with a brand new Colorbond roof? The tool provided below allows you to select the house with a style that most closely matches your own, then using the menus browse through the colours to give you an idea as to what your new roof might look like.